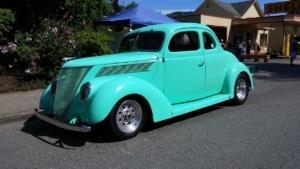 Classic Car Insurance, Santee, CA - True Pro Insurance Center, Inc. It takes more than age to make it a classic car. A collector car isn’t just a way to get around. It’s an investment that will continue to appreciate in coming years. Protect your investment with a classic car insurance policy from True Pro Insurance Center, Inc. in Santee, California. Coverage Options: Not all collector cars are the same, so True Pro Insurance Center, Inc. can work with you to determine the right amount of coverage to meet your specific needs. Do you need the insurance for your prize Mustang, Camaro, Charger, Corvette, Thunderbird, or other collector car? Talk with True Pro Insurance Center, Inc. today to identify the best combination of coverage, value, and price for you. We can help make sure your insurance continually meets your needs. Give us a call today at 619-820-0036.